The VW Beetle survived into the 21st century — easily and by far, the longest production run of any single car design ever. It is arguably the best built vehicle of all times because of the years of fine tuning parts. 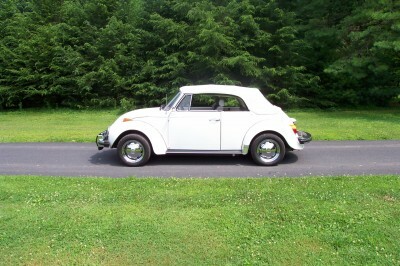 The Beetle convertible continued as an icon of sorority girl style through 1979 when the United States sold the final Beetle convertible. January 10th, 1979 the car came off Karmann’s Osnabrück line (until the car reappeared in 1998 with an evolved and redesigned look). Relive this classic time period driving the ’79 Bug.